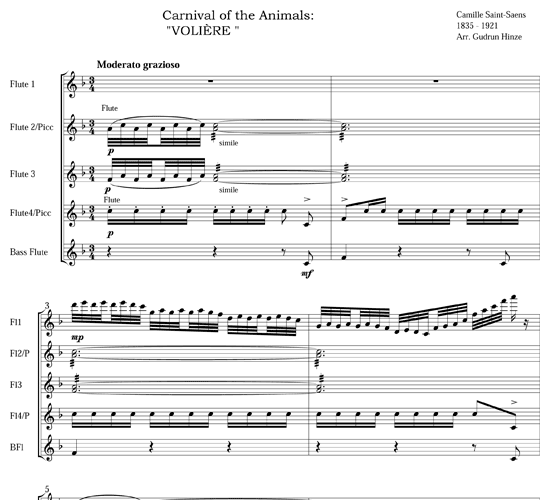 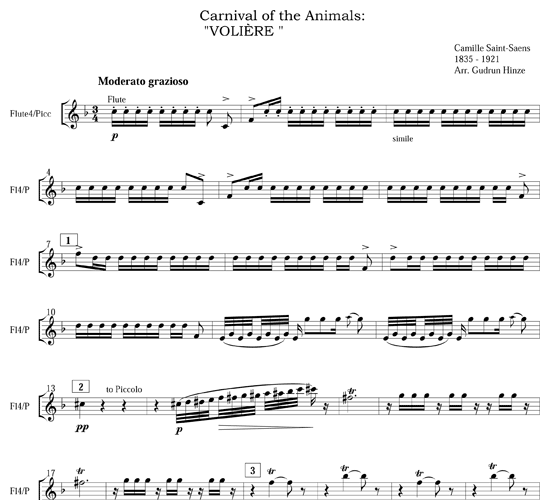 Camille Saint-Saens' “Carnival of the Animals” is an impressively successful example of humorously themed classical music and has become, with full right, one of the composer's most popular works. 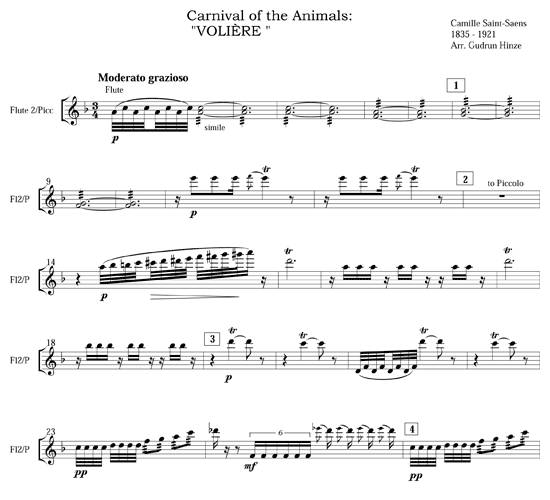 Saint-Saens (1835-1921) actually named it “Zoological Fantasy”; each of the fourteen movements depicts a different animal, often with plenty of humor and self descriptive musical themes. 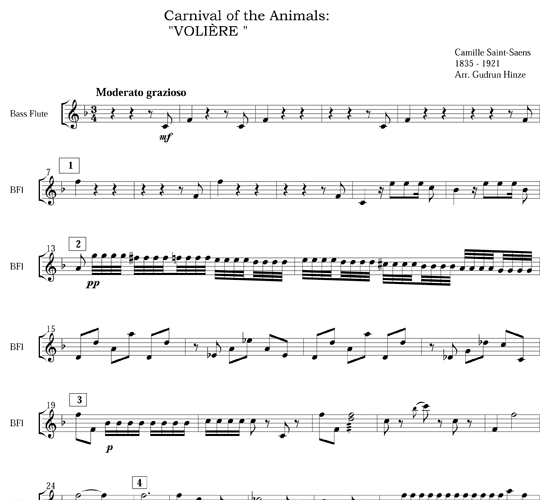 The tenth movement “Voliere” depicts an aviary abuzz with quiet activity of jungle noises, over which a tropical bird sings a melody full of trills and scales. 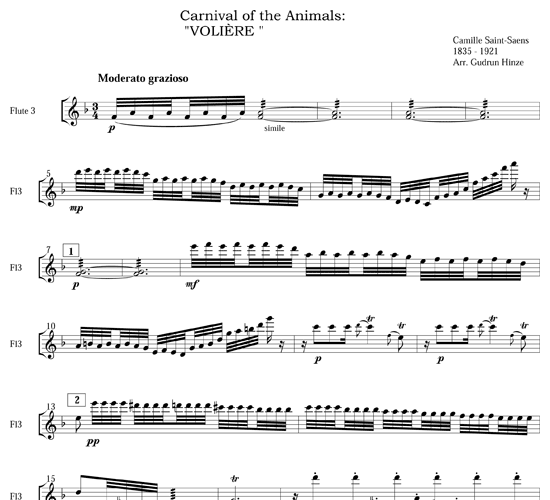 In this delightful flute quintet arrangement, flute one and three take the part of the bird, with trilling tunes that span much of the instrument's range. 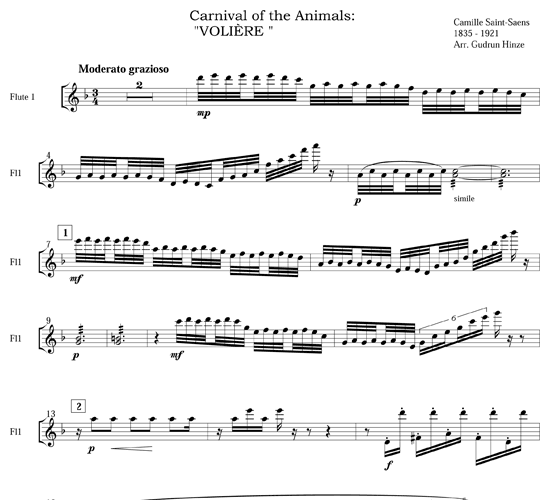 The piccolos provide occasional pings and trills of other birds in the background. 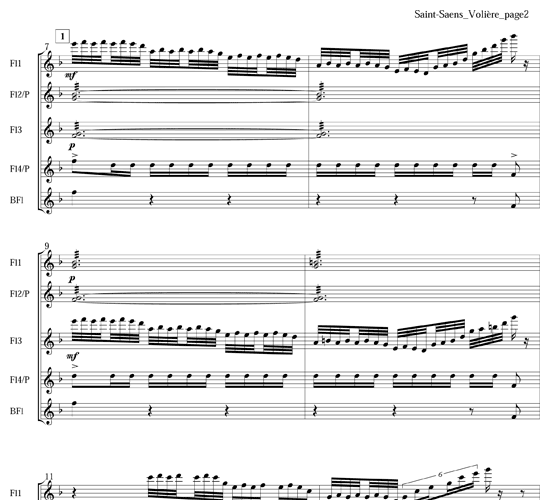 It ends very quietly after a long ascending scale. 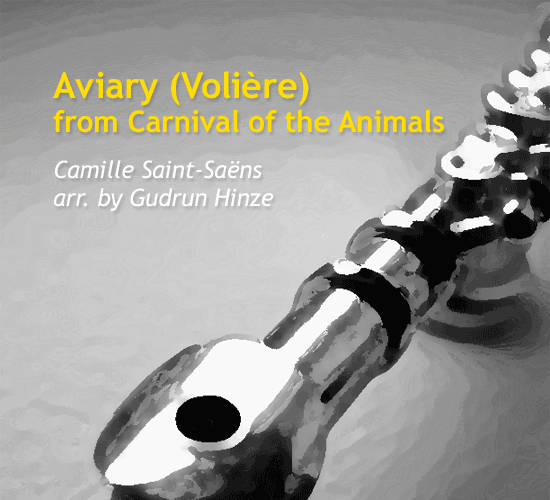 /wp-content/uploads/2014/04/mp3-aviary-from-carnival-of-the-animals-by-gudrun-honze.mp3Performed by the Quintessenz ensemble.